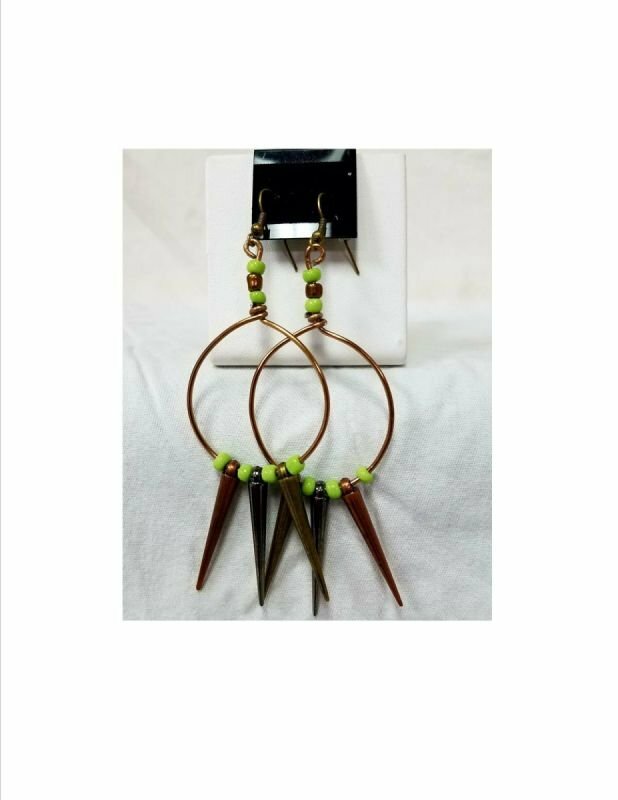 Green hoop, origional design bronze wire art, 1.5" hoops with glass beads and bronze spikes. 4" overall. Can be ordered and duplicated to nearly exact.